Updated Wednesday August 30, 2017 by POB Soccer. 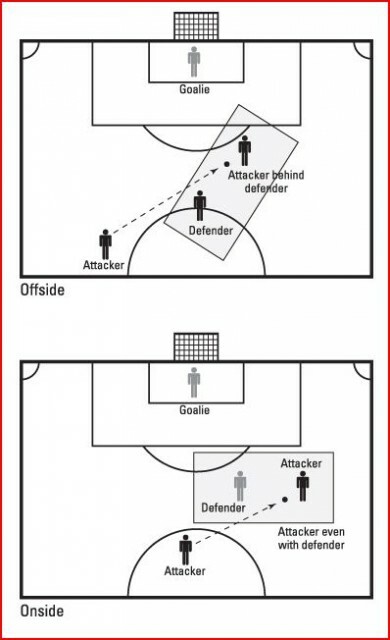 A player is caught offside if he’s nearer to the opponent’s goal than both the ball and the second-last opponent (including the goalkeeper) when his team-mate plays the ball to him. Interfering with play (that is, he’s part of the attacking move). Interfering with an opponent (that is, he’s preventing the opponent from defending against the attacking move). Gaining any advantage by being in that position. A player can’t be offside from a goal kick, throw in, or corner.